Indium Corporation announces the release of PoP Flux 89LV-P, a bright pink-colored, no-clean, thixotropic flux that helps engineers to Avoid the Void™ by greatly improving visual inspection to minimize voiding and other defects in package-on-package applications. 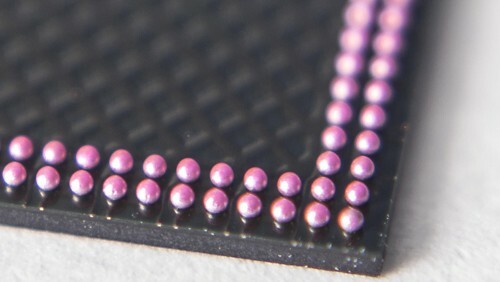 Designed for package-on-package assembly applications, PoP Flux 89LV-P contains a pink dye that is highly visible to the naked eye but is not picked up by automated vision systems. Therefore, PoP Flux 89LV-P does not cause false rejects on equipment that cannot decipher grayscale differences. In addition to its visual properties, PoP Flux 89LV-P has a unique activator system that provides enhanced solderability onto all common metallizations.